HNB Ice Cream Truck Visits Our Office! 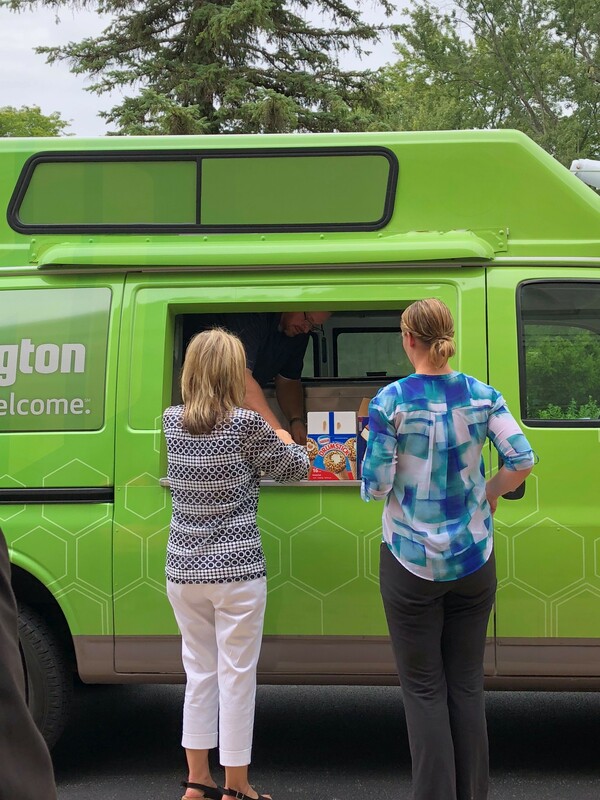 Our firm would like to thank Huntington National Bank for visiting our office with their new ice cream truck. Our Marketing Representative, Britany, was chosen as a Kent State University at Trumbull “Valley of Dreams” award winner and was given the opportunity to throw out the first pitch at the Mahoning Valley Scrappers game on Monday. Criteria for students to win this award include involvement in their community and schools, grades, and the recommendation of a teacher, coach, etc. Britany was one of the many Trumbull County students to be nominated for their work this year. Congratulations Britany! Pictured: Britany (left) and Jessica (right), two of Kent State Trumbull’s 2018 “Valley of Dreams” award winners, with the Mahoning Valley Scrappers mascot, Scrappy. 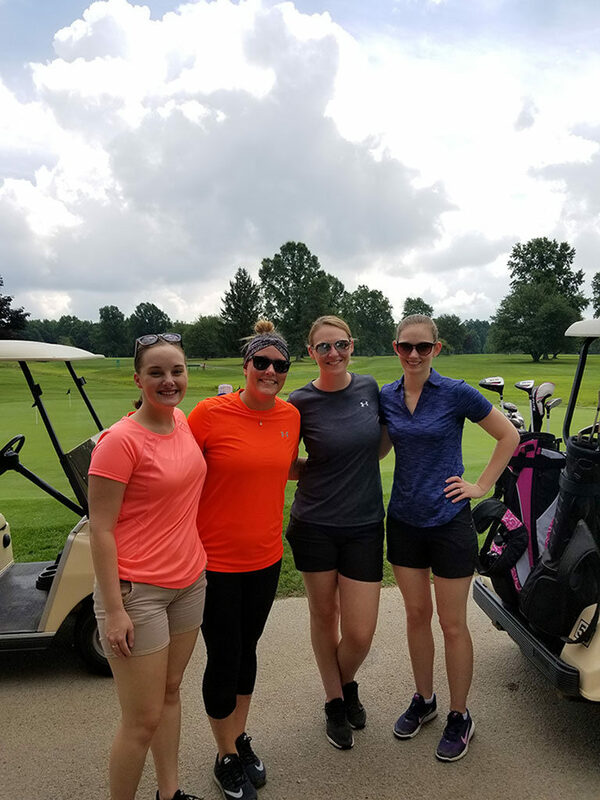 Last Thursday, our employees took part in our Third Annual BBS Golf Scramble at Tamer-Win Golf Course. Team 3, which consisted of Hayley, Amanda, Chris, and Warren, were our overall winners. Additional awards included ‘Most Balls in the Water,’ ‘Most Balls in the Sand,’ and ‘Most Balls Lost’. 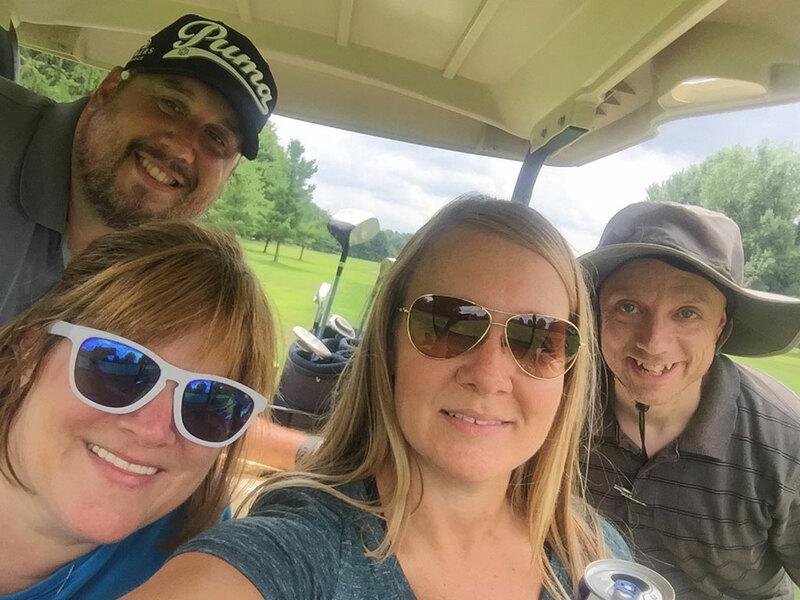 As you can see from the smiles, fun was had by all! Our office manager, Amy, was awarded the 2017 Trumbull County 4-H Distinguished Service Award yesterday. Amy was nominated for the award based on her participation as a 4-H leader and as a member of the Trumbull County 4-H advisory board. Congratulations Amy! This weekend, two of our employees, Lauren and Andy, helped beautify Warren parks by participating in Warren Rotary’s Plant a Tree Program. The two joined other Rotarians and community groups to help commemorate the Rotary Club’s 100th anniversary by planting 100 trees in five of Warren’s city parks. Read more about the event here. 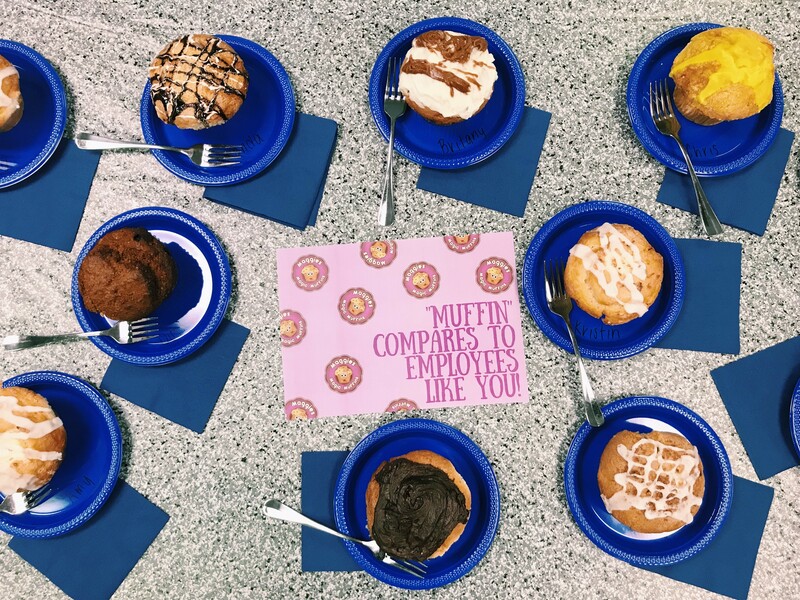 Happy Belated Employee Appreciation Day! 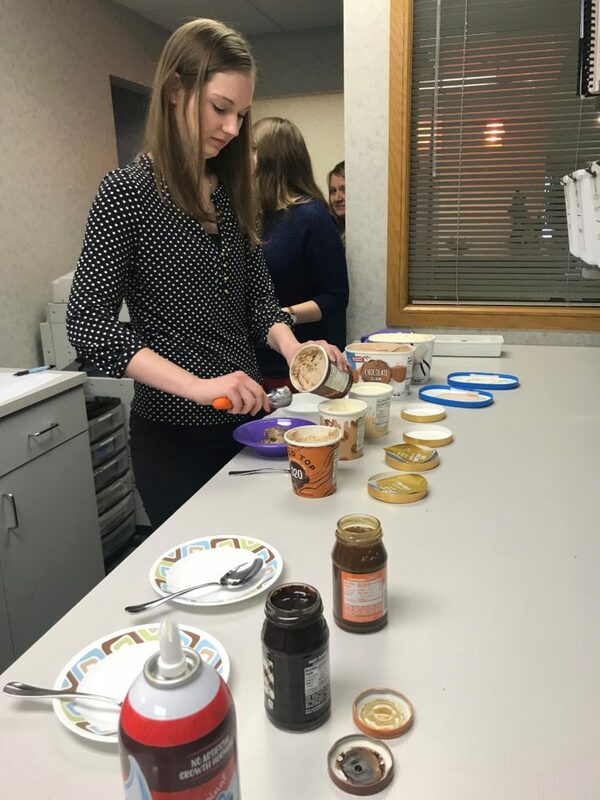 Due to the fact that many of our employees were out of the office on Employee Appreciation Day, BBS decided to celebrate our great employees Friday, March 9 instead! We would like to thank all of our employees for making BBS great! 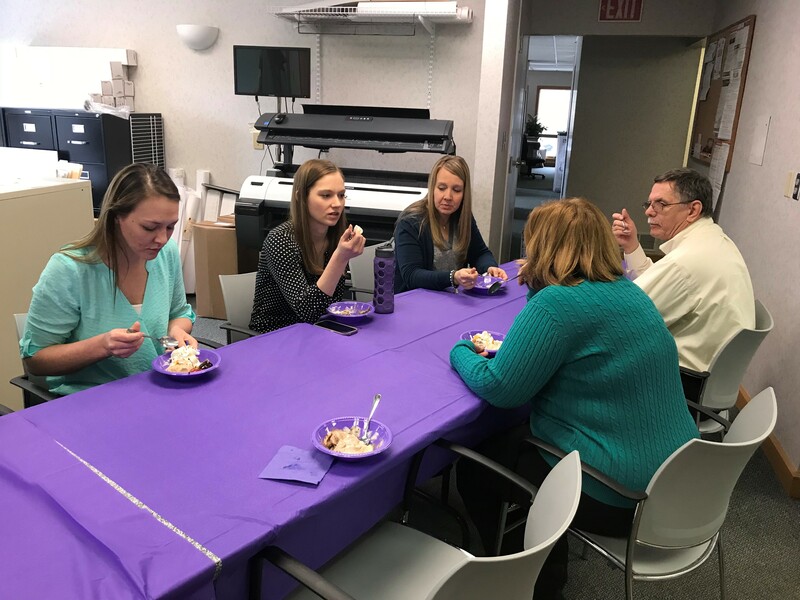 Take a look through some pictures from our celebration! WARREN — The very best examples of community service and the people who do those good deeds will be honored March 20 at the 17th annual Community Star awards dinner. Co-sponsored again this year by the Tribune Chronicle and Trumbull 100, the Community Star program celebrates local volunteers who go above and beyond to make a measurable impact in the lives of others without expecting anything in return. Andrew Bednar of Warren, president of the Warren Rotary Club. 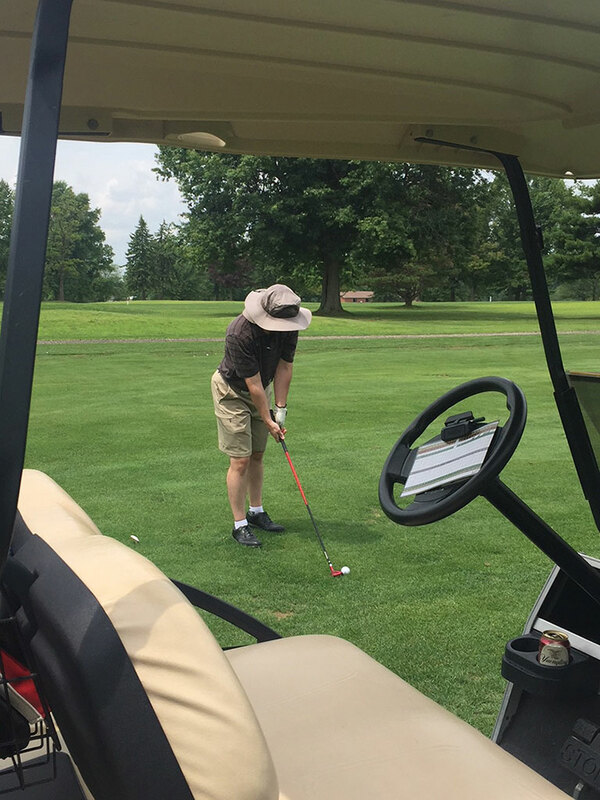 He was chairman of the Howland Local Schools Community Collaboration Committee that led to the creation of the Howland Community Scholarship Foundation, which awards scholarships to seniors graduating from the district. Sam Covelli of Warren, owner / operator of Covelli Enterprises, which is the largest franchisee of Panera Bread. Covelli was nominated for his philanthropic efforts, which include his work for Panerathon, which has raised more than $2 million to support the Joanie Abdu Comprehensive Breast Care Center at St. Elizabeth Youngstown Hospital. Debbie Hayes, clothing coordinator for Basement Outreach Ministries, an organization that provides community outreach to local residents. She also volunteers at the Sahara II Community Resource Center, St. William Church in Champion and Friends of the Greenhouse Consortium at Packard Park. Katylu Herriman of Warren. 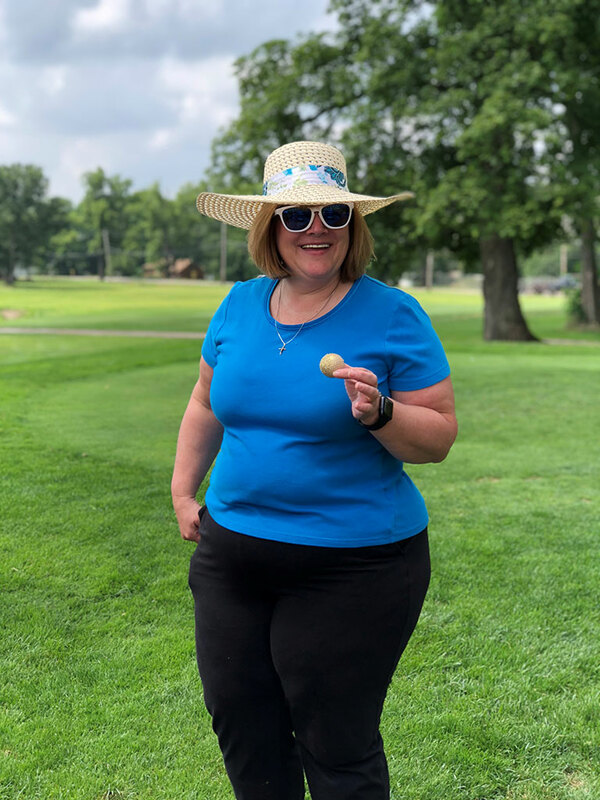 Her volunteer activities include giving time at First Presbyterian Church in Warren, Trumbull County Historical Society, the Upton Association, Sutliff Museum and Trumbull Mobile Meals. Joyce Jones of Kinsman for her work as a member of the auxiliary at American Legion Post 506 in Kinsman, her effort to bring the circus to town and Christmas in Kinsman, which was Jones’ idea. She also volunteers at American Red Cross blood drives and coordinates the effort to make sure the graves of veterans in Kinsman Cemetery are decorated with flowers and flags before Memorial Day. Bonnie Loomis of Warren. Loomis has been a troop leader in the Girl Scouts for more than 50 years, sometimes for as many as four troops at once. Mary Lou and Sal Mormando of Warren, who have spent nearly 25 years ministering to inmates at the Trumbull Correctional Institution. Joyce Polenick and Jennifer Economos Sudzina, who created Light up the Square in downtown Warren, a project done to honor Jennifer’s father, Jim Economos, to carry on his memory. Teresa Webb of Bristol. Webb’s volunteer activities includes time at Bristolville United Methodist Church, for which she raises money through an annual craft show. She was also recently instrumental in raising more than $8,000 for a local family who lost their home in a fire. Jay Wonders of Warren. He organized a bike ride in Trumbull County to raise money for scholarships for local students after his son, Garrett, was killed in 2004 while on a training ride for the 2004 Olympic trials. He also campaigns to keep the roads safe for bicyclists and encourages drivers to share the road. Full profiles of each person will be featured in a special section that will be published March 21 in the Tribune Chronicle. Tickets for the dinner at St. Demetrios Community Center in Warren are available at the newspaper office, 240 Franklin St. SE, by phone or by an order form that will run frequently in the pages of the Tribune Chronicle. For more information, contact Shafer at sshafer@tribtoday.com or at 330-841-1696. The event is open to the community. Copyright 2018 Tribune Chronicle, Warren, Ohio. Baker Bednar Snyder & Associates Inc is a fully licensed, insured and qualified architectural firm offering a full range of architectural planning, design, and consulting engineering services from our Warren, OH offices.